eGuide to Granada - Clarinda Parques S.L. Granada is one of the pearls of Spain, most visited by tourists from all the world. The long-time capital of Moorish Andalusia has to offer the most important reminds of this epoch in Spanish history, with the world-famous "Alhambra" at the top of the list. Walk through beautiful gardens, charming narrow streets filled with flowers, sit down in one of those typical taverns to have some of that famous "Trevélez" ham and local wine, and breath the centuries of history around you anywhere. There are gypsies singing "Flamenco", and don't miss to visit their famous "Cuevas" - caves - in the mountain of the monastery of Sacromonte where some of them really live still nowadays making magnificent artisany. Granada's popular festivals, based as well on Moorish as Christian tradition, are most attractive. Link to Google Search, with information and interactive map of locations. In the heart of the Albaicín, amongst the winding streets leading down to the river Darro and beneath the silhouette of La Alhambra, stands the Nazari Casa Zafra. It was built in the 14th century by an important family of the kingdom in the middle of the Axares or Deleite district, the suburb of the Albaicín where Andalucian aristocrats built their houses and mansions. 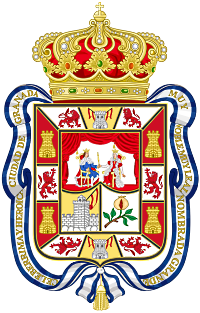 Granada, the last Islamic stronghold in the Peninsula, sheltered numerous refugees for a large part of the 15th century, as the Christian conquest was gaining Nazari territory. The population density of the Albaicín saw practically an overflow that would usually result in the expansion of houses by adding more floors to the building, like what happened in Casa Zafra.